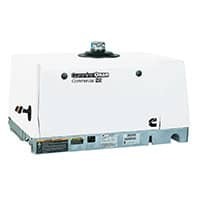 ThisCummins Onan RV gasoline generator is the quietest in its class. Exceptionally low vibration levels. Runs two air conditioners with power to spare. Digital voltage regulation for stability as appliance loads change.